Lister Park01274 431000work ParkLister Park is located a mile from the city centre and is also home to Cartwright Hall Art Gallery. It has many outstanding features including; a lake with boating, tennis courts, play areas, inspiring Mughal Water gardens and much, much more. 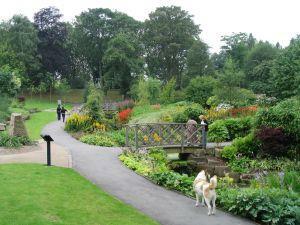 Come and visit this beautiful park, with a stroll round the botanical gardens, or a wander into the magnificent Cartwright Hall, and you’ll be exploring one of the gems in Bradford’s crown. Car Park , Play Area, Multi Games Area, Bowls, Tennis, Lake/River, Boating , Cafe , Toilets, Flower Garden, Friends Group.